If you did not already see it on the runway, then something that you need to know for this season is color is EVERYTHING!!! When you first think of the colors that you will find in your winter wardrobe, I am assuming the colors like black, tan and gray usually come to mind. But this season, it is the complete opposite. It is all about the pop of color!! Some of the popular colors that popped up several times on the runway include royal blue, pink, yellow and most of all, red! Most of the designers this past season seamed to be leaning toward patterns and fabrics made up of primary colors. But this is not just showing up on the runways, but also walking the streets of amor cities and can be spotted in all of your favorite street style photos on Pinterest. 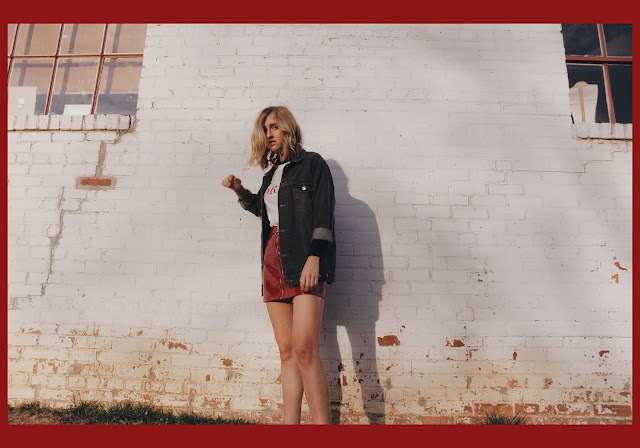 Out of the many colors in the color wheel, whenever I am trying to add a pop of color in my wardrobe, I definitely find myself leaning toward red! It is the last color that I ever thought I would have in my closet, but I have absolutely fallen in love with the color. I’ve been mixing red pieces into my wardrobe a lot lately. A blazer here, a bag there, etc. BUT– I’m also digging the head-to-toe, drippppping in red idea. As a person who is used to wearing neutrals & more earthy tones, this outfit is quite the shift. 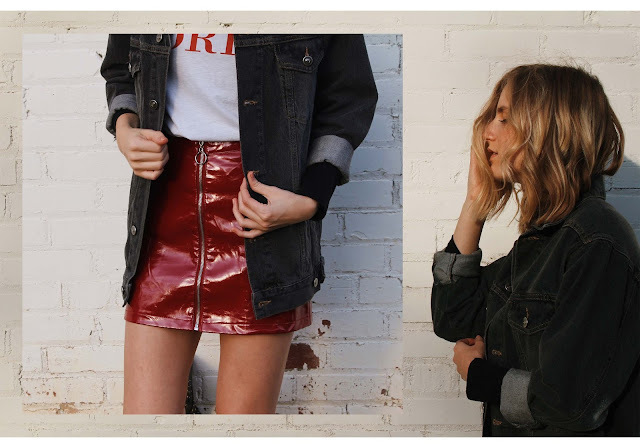 In this post, I'm wearing my favorite patent leather skirt (under $30) with a staple graphic tee from Urban outfitters and added some layers by throwing turtleneck underneath the tee shirt and a black jean jacket from ASOS over top. I made sure to link all of these items down bellow as well as some of my other favorite colorful items. I am absolutely in love with this all-red idea and I'll definitely be incorporating more one-tone looks into my winter wardrobe.